Editor’s note: A version of this story previously ran in the November 21, 2011, edition of the Cleveland Journal. Dates and ages have been updated. My 17-year-old niece Roshundalyn “Shun” Scribner is someone you’ll never know. She didn’t attend Cleveland High School. She wasn’t even from Washington. But her story is one that will resonate with anyone who is learning to drive or recently earned a driver’s license. Why focus on teen driving? Two reasons: In light of the terrible accident involving eight of our own students, I felt like kids needed to be reminded that they are not immortal. I also wanted students to see that even the brightest kids don’t know everything when it comes to getting behind the wheel of a vehicle. It is my hope that what happened to Shun won’t happen to you. Shun was a top student at Hall High School in Little Rock, Ark. 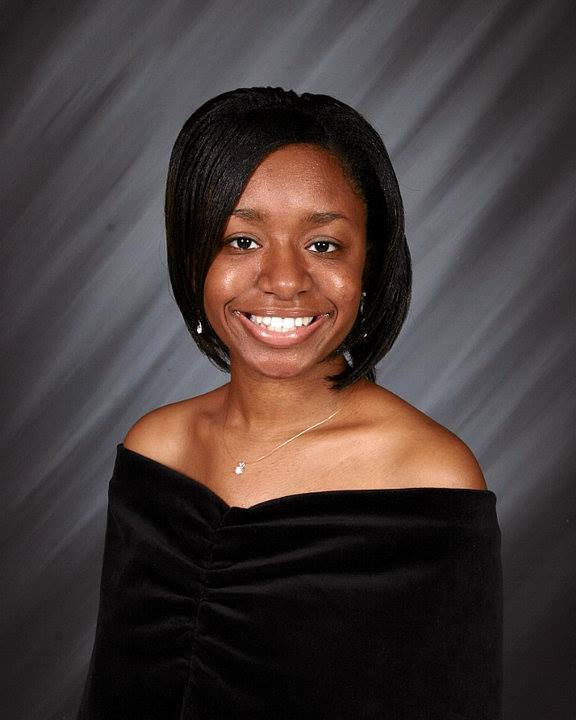 She had earned the honor of being valedictorian of her class with a 4.269 GPA. On Feb. 6, 2007, she was returning from an interview with a Yale representative when her 1992 Honda Accord stalled at a busy intersection during afternoon rush hour. Shun had only been driving about a year and had no idea what to do. She immediately called her dad – my older brother Kevin – and asked him what to do. She told him the other vehicles weren’t acknowledging that she was in trouble. Cars were honking and traffic was backing up. No one offered to help. Not knowing her exact location, Kevin instructed her to put the car in neutral and let it coast to a safer street. He would send his wife to help. Shun’s car had stalled barely a mile away from her house. By this time, Shun had begun to panic. Knowing she was holding up traffic, she got out of the car and attempted to push it by herself. The details are unclear, but it is believed that Shun’s car started to roll backward, and she stepped behind it, trying to prevent it from striking the vehicle behind hers. But with a 115-pound girl versus a 2,000-pound car, the odds were against her. She was pinned between her own car and another. While this was happening, Kevin kept calling Shun’s cellphone. There was no answer. Finally, a man answered the phone and told him that his daughter was hurt. Roshundalyn died during surgery shortly after 7 p.m.
From the time Kevin received the first call to the time he learned Shun was hit was six minutes. Six. That’s a little bit more than Cleveland’s passing period. Having been behind the wheel for a year, Shun could’ve been considered an experienced driver. However, she wasn’t prepared for every situation. Kevin advises anyone whose car stalls during rush-hour traffic to “put on the flashers, let up the emergency break and call 9-1-1.” He also suggests hanging a white towel from the window to let other cars know you are in distress. Along with Kevin and Morgan, Shun left behind her mom, two brothers and another sister. She was an award-winning poet, a straight-A student, student body president and loved by all of her peers. She was also someone’s daughter; someone’s sister. She was my niece. The students of Hall High planted a tree and dedicated a bench in her honor. A scholarship was also established in her name. Today, Roshundalyn would be 25, probably already in a career. I think about her every day, especially when I see a driver pulled over on the side of the freeway or a teenager behind the wheel. I encourage all of you – students and staff alike – to learn the safety procedures for emergencies behind the wheel. It could be the difference between life and death.